Max Morgan was stuck for nearly three hours before help arrived. 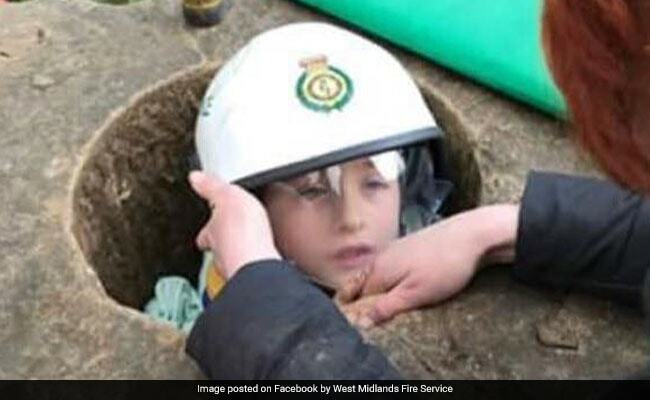 A seven-year-old boy from UK found himself in a tight spot - quite literally - when he tried to recreate a photograph from when he was just two. Max Morgan had travelled to Wightwick Manor, an estate near Wolverhampton, with his family on Tuesday, reports the Telegraph. His mother Jenna had clicked a picture of him inside a pinnacle in the stone manor five years ago, which the family tried to recreate this time. However, in an unfortunate twist to what would otherwise have been a happy family memory, Max got stuck in the three-feet-deep hole as he climbed in it to pose. George, his father, admitted his son had "grown a bit" since the previous photograph was taken. "The hole is about 3ft deep, Max was climbing on top of it and managed to get in, and he was crouched down inside and got his knees stuck," Mr Morgan said to the Telegraph. He was stuck for almost three hours before help arrived in the form of West Midlands Fire Service. Max was taken to a doctor for some bruising on his legs, but later discharged with no serious injuries.